'I' Times 2: Dye-ving right in! 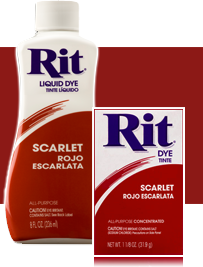 Like I mentioned in my last post, I was planning on trying out some RIT dye. And I did! Yesterday Isabel and I ventured to City Mission and bought an awesome stainless steel pot, 2 wooden spoons, a little plastic bowl and some nice white/light goodies! Total of all this awesomeness?? $15!! Yup, thats right, fifteen whole dollars. After that we went to spotlight and grabbed some rit dye in fuchsia and scarlett. 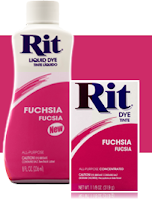 I was looking at the colour selection and wanted purple, but our local spotlight only stocks a few clolours in rit, so I had a squiz at the other brands of fabric dye. They also had iDye and Dylon. After some confusion I went with iDye. I got a purple and red in that. While at spotlight I got myself some fabric paint! 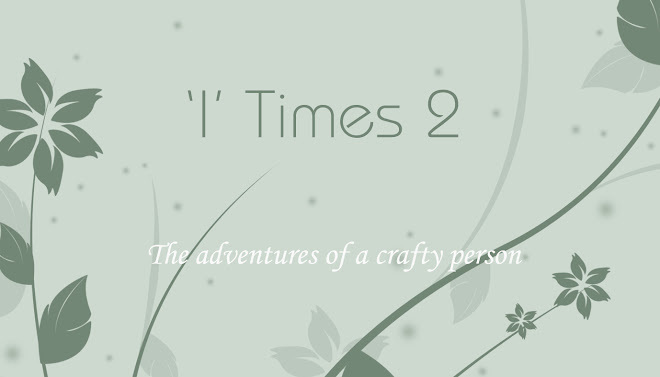 So I will be doing a post on my experience on that in the next week. Exciting! Our last stop was the supermarket - GLOVES. Very important. The loot from city mission! It was all pretty simple, I did stove top and my first batch was amazing! I actually did 5-6 things in one dye bath. I did 3 at a time. The first 3 came out in a really strong pink, while the 2nd turned out about a shade lighter, but still amazing! I simmered them for about 30mins with stirring every 5 minutes or so. I loved the rit dye. First try = first success. Very very happy! From my first batch of fuchsia. I didn't so much like the iDye. I found it very hard to tell how the clothes were taking to the dye. Maybe it was because I chose such a dark colour, but it looks VERY strong from the first dip. So I only left the first few in for 15 minutes, because I didn't want them too dark. The second lot only stayed in for 5 minutes and the difference is HUGE. The first few are soooo dark, but the last few are really light. Not sure how it would have looked if I followed the instructions and left them there for 30 minutes! 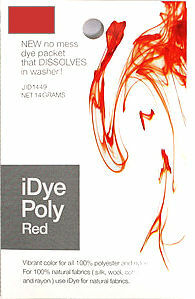 I also have red in the iDye, so I will be trying that out tonight anyway, and I'll hope for better results. Result from the iDye. Fairly light, but not too bad. I dyed a couple of 0000 Bonds Wondersuit. And they turned out absolutely adorable! The stitching around the collar stayed mostly white, and the Wondersuit logo also stayed true to its colour. The first growsuit I did was originally yellow, and I dyed it fuchsia. The yellow logo on the pink suit is so cute! Another bonds suit I did was Isabel's easysuit. It was a boys on that I picked up from Vinnies for $1 a few weeks ago. It started off Black and white. Now its pink and white and I LOVE it!! Now that I am no longer a dye virgin, I will be doing a lot more of it. Don't go in with high expectations. They NEVER come out how you picture them in your head. Thread on store bought stuff usually doesn't dye, and different materials take to the dye in lots of ways,so be prepared for that! Be prepared. Make sure you have everything before you start. Otherwise you will be running around with dye covered hands.. Messy! Try to have more than one thing to dye. Especially if you are using iDye, because you can't do half a packet. Do as many as you can to make the most out of your money. 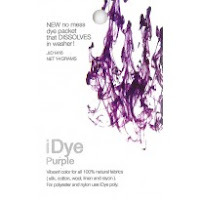 Remember, the point of re-dyeing your clothes is to save money! Make sure to wear something that you either don't really care about, or an apron. You will need it. I learnt this the hard way. First try - first success!